In this webcast, we'll show parents and kids how to get started building Minecraft mods with Minecraft Forge, a commonly-used tool for applying gameplay enhancements. We'll show you how to setup your computer with little fuss, as well as walk you through the process of creating your first mod. You'll also learn essential Java programming skills. If you're a kid searching for new ways to have fun with the game, or a parent looking to nurture your kids' creativity through code, you won't want to miss this exciting, hands-on tutorial. This talk is designed for parents and kids with minimal or no experience creating Minecraft mods. No prior programming experience is required. 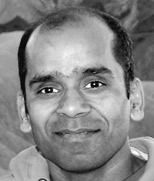 Arun Gupta is a founding member of Devoxx4Kids USA. As a chair of the board, he oversees the organization's operations and ensures it stays true to its mission of promoting technology education amongst kids. During the day he works as Director, Developer Advocacy, at Red Hat and focuses on JBoss Middleware. He has spent several years building and coaching middleware applications at Sun Microsystems and Oracle. He is also a highly sought-after international speaker and JavaOne Rockstar who has given presentations in over 40 countries on numerous topics. A best-selling author, avid runner, globe trotter, Java Champion, and Silicon Valley JUG leader, he is easily accessible on Twitter at @arungupta. 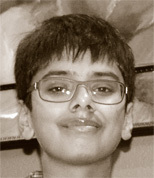 Aditya Gupta is a twelve-year middle schooler at Moreland Middle School, San Jose, California. He loves to play and modify Minecraft. He also has experience in many other types of programming like Scratch, Java, Python, Greenfoot, and iOS. At age eleven, he was one of the youngest speaker ever at the Community Keynote of JavaOne 2013 showing how pigs fly using Eclipse in front of 1500+ Java developers. He is also a Boy Scout and like to tinker with LEGOs. Alongside his father, Arun Gupta, he builds and delivers workshops for Devoxx4Kids and is excited to teach programming skills to young kids like him.